A selection of natural cleansers suitable for all types of skin. This REN Rosa Centifolia skincare range is based on using Rosa Centifolia extract to purify, cleanse and refresh the skin. The properties of these active ingredients protect the capillary system. REN products are free from sulphates or harsh detergents. Why choose REN Rosa Centifolia over other REN skincare products? If you are looking for good make-up removers, not necessarily have the most sensitive of skin but need a natural cleanser. What are the benefits of using REN Rosa Centifolia? These products are the essential basis for anyone looking for natural cleansing skincare suitable for all types of skin. Tighten Pores, Soothe, Decongest and Protect with this REN Rosa Centifolia Foaming Cleanser. Protect, Nourish and Soothe with REN Rosa Centifolia Hot Cloth Cleanser. This REN Rosa Centifolia Purity Cleansing Balm Combines Rose Oil, Roman Chamomile Oil and Pink Voilet Leaf Extract to calm and purify your skin. Ren Clean Skincare is an exciting new product range now available at Oakville Care Centre! Why did we choose REN Skincare? Quite simply we were looking for a high performance skincare range, free from potentially skin irritating ingredients that could still be enjoyed and a pleasure to use and REN Skincare simply is all these things and more! The REN Evercalm skincare range has been specifically designed for those who have sensitive and irritated skin. The REN Vita Mineral Skincare Range has been created especially for all skin types to hydrate, nourish and replenish with added vitamins and minerals. The REN Bio Retinoid Anti-Ageing Skincare Range is specifically designed to dramatically reduce wrinkles and regenerate the skin. 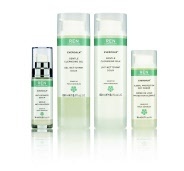 The V-Cense Anti-Ageing Skincare range from REN is designed to delay the ageing process and to protect the skin's youth. Boost vitality and radiance with the complete REN Radiance Skincare Collection. The best store builder by ShopFactory powers D308. All-in one store builder and eCommerce software.